When it comes to moving your precious possessions, the very last thing you want is to hire an ‘uninsured novice’ or a dodgy ‘backyard operator’ who could waste your hard-earned dollars on a sub-standard experience you’ll regret buying every single time you even think about it. • People of integrity who will move your belongings with the utmost care and respect - as if they were their own. That’s exactly what you want, right? We are a West Australian family owned and run Perth based removals business that has assisted literally thousands of satisfied clients [just like you] with a safe and stress free service, in furniture removal, packing service, and supply of packing materials. 20 years experience owning and running furniture retail, furniture removals, and auction businesses has left us 100% totally convinced that customer service is absolutely everything. 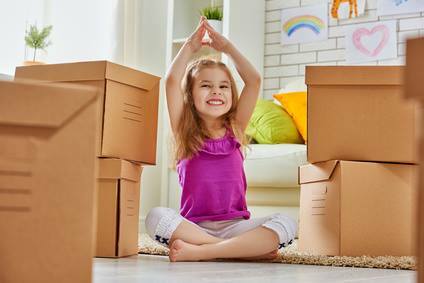 Because ‘Keeping you happy’ is way more than just a cliché with us and it is definitely one of the main reasons why 100 Move It has become THE ‘Trusted Name’ among the removalists and packing services Perth has to offer. We really are passionate about making your move as smooth, seamless and stress free as possible. And as for our motto - "NICE BLOKES - GREAT SERVICE", you can hang your hat on it. Because having nice and courteous removalists forms the absolute backbone of our business philosophy. We look at the nature of any prospective employee before the muscles. Yes, all of our guys are strong physically - but just as importantly, they are genuinely eager and willing to assist with any task they are asked to do, and with a nice demeanor. And they will treat both you and your home with courtesy and respect at all times. We think this is hugely important factor in making your move as enjoyable as possible. We also have a 24-hour guaranteed response to any website enquiry! So go ahead and Call Us Today for YOUR FREE no-obligation quote. Professional & experienced Perth removalists for your next home or office move. Get a quick quote online today.